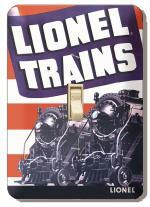 STUFF This section lists the Lionel related items I have for sale, prices include shipping. 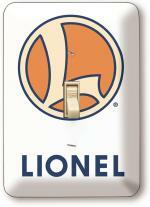 These are durable,scratch-resistant metal single switch plate covers. They come with screws painted to match the design. Price is $8 each or 2 for $15 includes shipping(USA).